Need some of these covers for Wildwood, the vinyl wrap can grab on the rubber fenders. Fenders are an important piece of equipment for your boat as they keep your boat’s hull from hitting the dock, or even other boats. 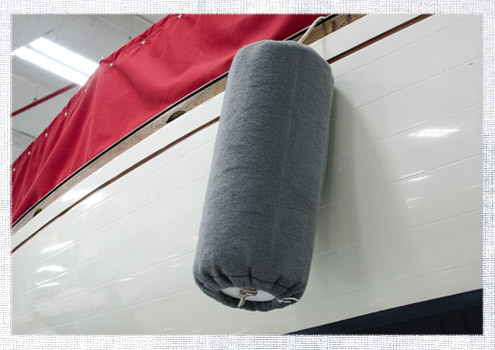 Protect your fender from the elements and your boat’s hull from chafing with a soft cover for your fender. Fender covers are simple to DIY and a great project for beginning sewers. There are many different styles of fenders and today we’re going to show you how to make a cover for a center rope style fender. If your fenders have a two-eyelet shape, you can see how to make a cover for those in our Making a Boat Fender Cover video. ← The Solent Has Its Own Stay!